We have tons of crazy ideas here at Codeable and one of them actually became a reality; We thought to ourselves, what if the client could receive a physical copy of their site after the development has been done? Granted, a developer could just give them a copy on a USB key, but that wouldn’t be much fun, would it? That’s why we decided to try and set up WordPress on the Raspberry Pi a $46-ish computer, primarily used for educational purposes but widely (ab)used all over the world, by geeks like us. Note: This is just an experiment and you shouldn’t use Raspberry Pi to host your production WordPress site. But if you want to impress your client (and earn infinite bragging power), read on. No Raspberry Pis were harmed during this experiment. As I didn’t have most of the components, some shopping was in order, but apart from the Raspberry Pi, those are a one-off purchase. 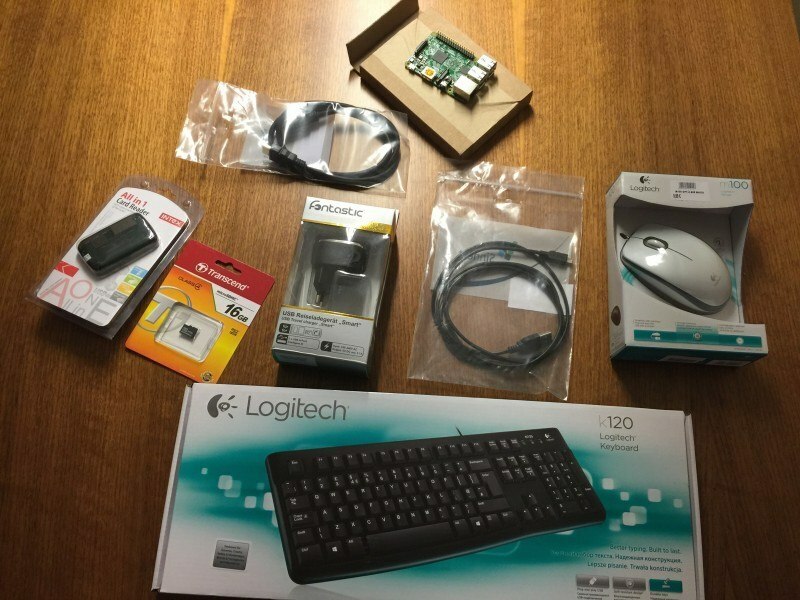 The total amount of those components was $66 (€61). Note: The instructions for this step are written for Mac, simply because I don’t own any other computer. If you use Windows, follow these instructions. For more tech-savvy readers, this page provides even more useful information. After you insert the MicroSD card into your reader or adapter and connect it to the computer, visit the Raspberry Pi downloads page. There are several operating system images there, but I recommend you choose the Raspbian, because it’s the most extensively tested and thus more likely to work out of the box. Initiate the download (which may take a while, depending on your internet bandwidth) and while you’re waiting, open Disk Utility App. There, locate your MicroSD, and format it by clicking Erase. 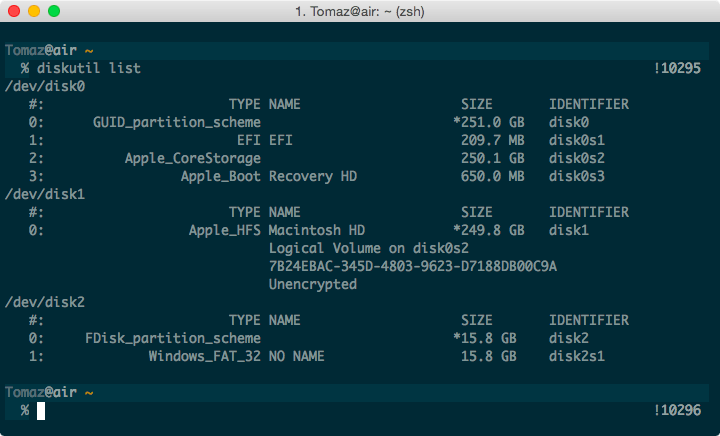 This should only take a couple of seconds and once done, close the Disk Utility - you won’t need it anymore. Warning: Make sure that you enter the correct disk number, otherwise you risk of overwriting your primary disk, rendering it unusable. You’ve been warned! Insert the MicroSD card in the slot/port and connect all the cables: HDMI, Keyboard, Mouse, Ethernet, and Micro USB power adapter as last (since Raspberry Pi has no power switch and we want to make sure everything is in order before powering it up). After a bunch of lines that only Linus Torvalds understands a configuration screen will open with a bunch of options. 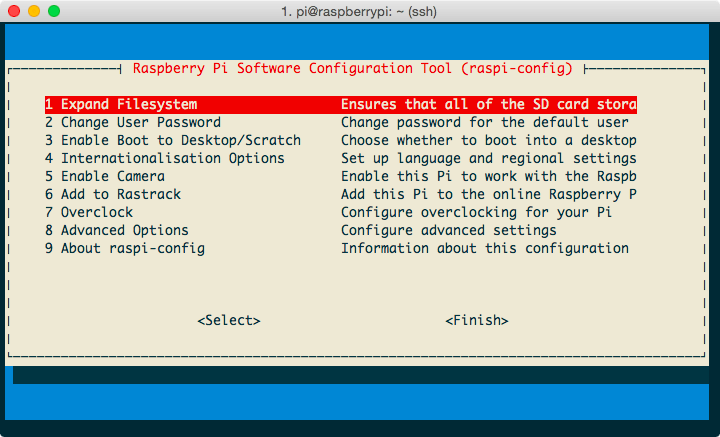 You can safely ignore all of them - apart from one; If you want to access your Pi through Secure Shell, navigate (using arrow keys on the keyboard) to Advanced options and turn on SSH. (When mysql asks you for a password, just press enter, this is an experiment, so we don’t need one). This will give you the IP, which you then paste into your browser’s address input and proceed with the WordPress installation steps. Once it opens up, click on the globe icon next to the menu (top left), which will open the Epiphany web browser. Here’ instead of the IP, you can use http://localhost to access your WordPress install. We’ll announce the winner on March 31st (because on April 1st no one would believe us). totally cool mates !! I love the Raspberry Pi! I’d actually buy one from you guys if WP 4.x came pre-installed on it. What’s the performance like? I’m worried it’ll feel a bit laggy. It’s “normal” for an unoptimized website and server – if I would put a bit more effort into caching, I’m sure it would work quite well. before I try this and buy a Raspberry Pi, I was wondering how does it work for wordpress plugins installation? 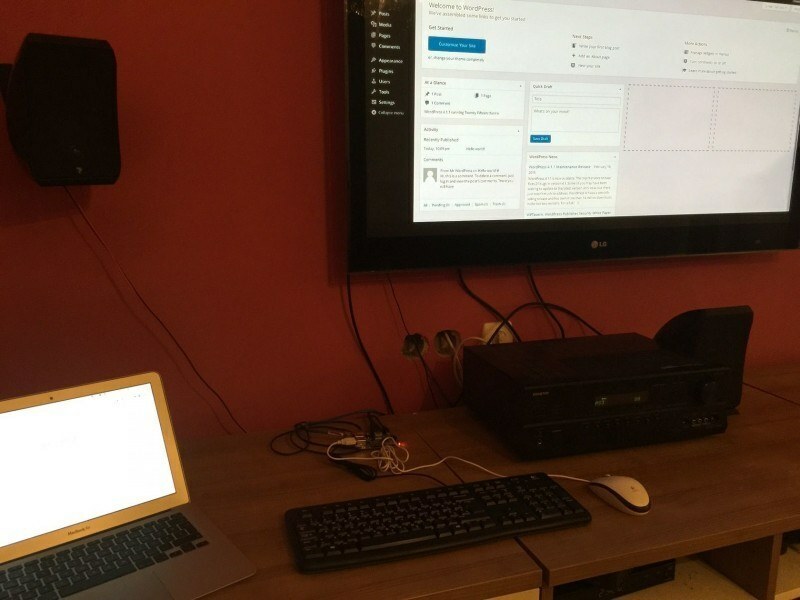 Should I just connect the Raspberry Pi to an ethernet cable and download/install the plugins from the wordpress dashboard? Or it is not that easy? 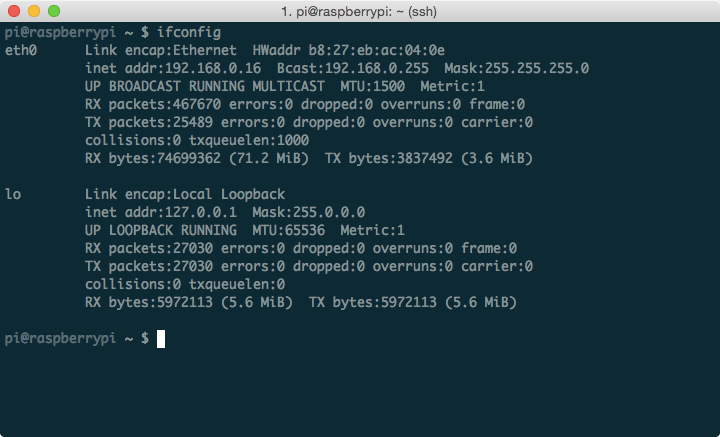 Yes, it’s that easy, but if you have the Raspberry Pi connected to the router, you’ll need to properly configure port forwarding. I’m also currently waiting on the Orange Pi. I am a WordPress developer who also happens to really be into single board computers like the Raspberry and Banana Pi boards.. great article by the way. Where (which folder, exactly) should I put the wp-config.php file? Could someone please help me. I get stuck after I install the web server and it looks different then the picture. Please update to raspbian stretch lite. This tutorial is sorely outdated. Buy RaspberriPi 3 b+ at best prices from RoboElements with free delivery.